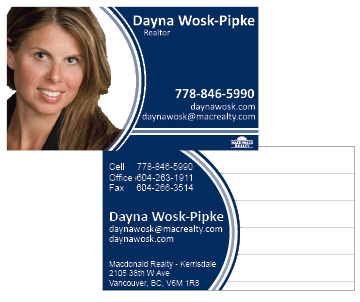 I get a lot of readers interested in business card design so I thought I would showcase a few of my recent designs for Realtors. While I don’t consider myself a graphic designer I have a unique design style for business cards that many of my clients find effective. In addition I only print on thicker card stock with a unique silk finish that people love to rub. The silk finish makes the cards waterproof, almost impossible to tear and the corners do not get ragged in your wallet. 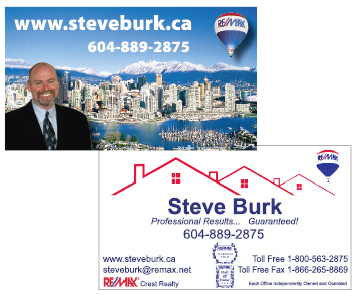 If you are interested in making a better impression with your business card give me a call, Mike Blaney, 800-568-8338 or email me at marketingguy@shaw.ca. If you already have a design and just want me to print them on the thicker stock with the silk finish the price is only $ 195.00 for 1,000 cards with color on both sides. If you are interested in my design services you should budget between $ 75.00 and $ 150.00 for the layout although you should contact me for a quote. I always use the back of the card to de-clutter the front and in many cases provide a space for people to write notes. Most people need your phone number, email address or web site so all three should be in a larger font and easy to read. 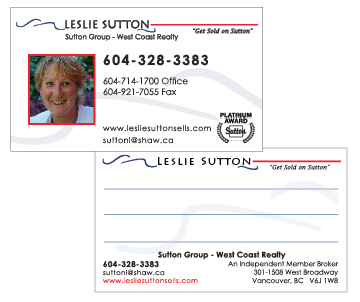 Your business card is like a mini billboard and should accurately convey your brand. Add your slogan or a call to action as sometimes this is the only marketing they will see from you. Part of a re-branding for Cari. 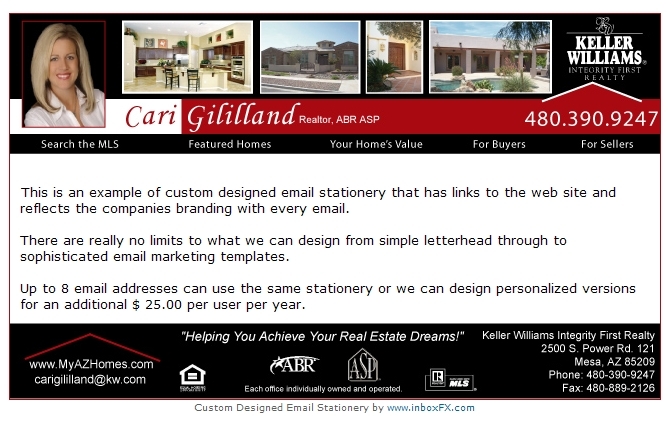 Click on the image below to see Cari’s matching email stationery from http://www.inboxfx.com. This was a totally new branding for Dayna. 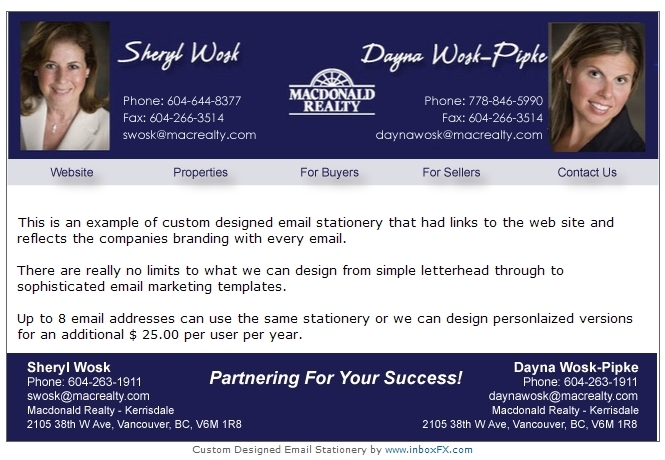 Click on the image below to see Dayna’s matching email stationery from http://www.inboxfx.com. Part of a re-branding for Garth. 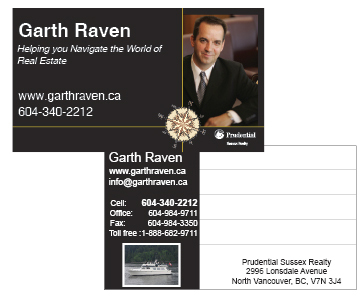 As an avid boater I came up with the slogan “Helping you navigate the world of Real Estate” and added the compass. There is also a picture of his boat on the back as a conversation piece. 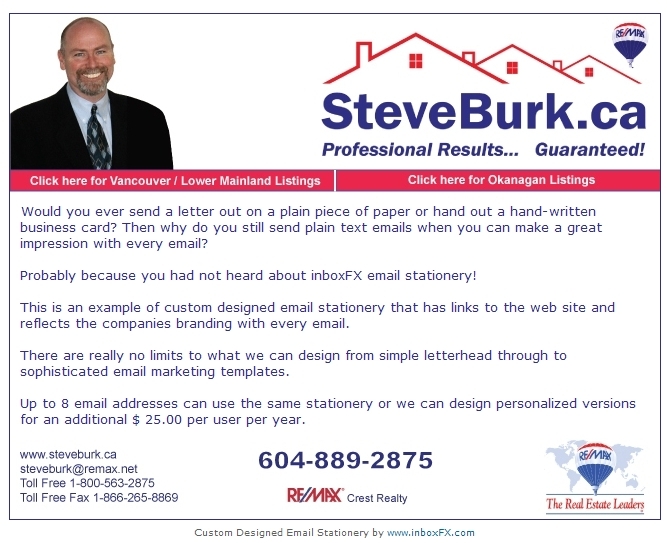 Click on the image below to see Steve’s matching email stationery from http://www.inboxfx.com. Part of a complete re-branding of Leslie. 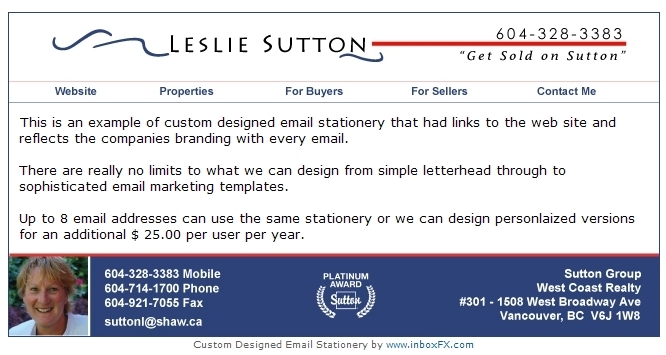 Click on the image below to see Leslie’s matching email stationery from http://www.inboxfx.com. Next Post So What Do Women Really Want?